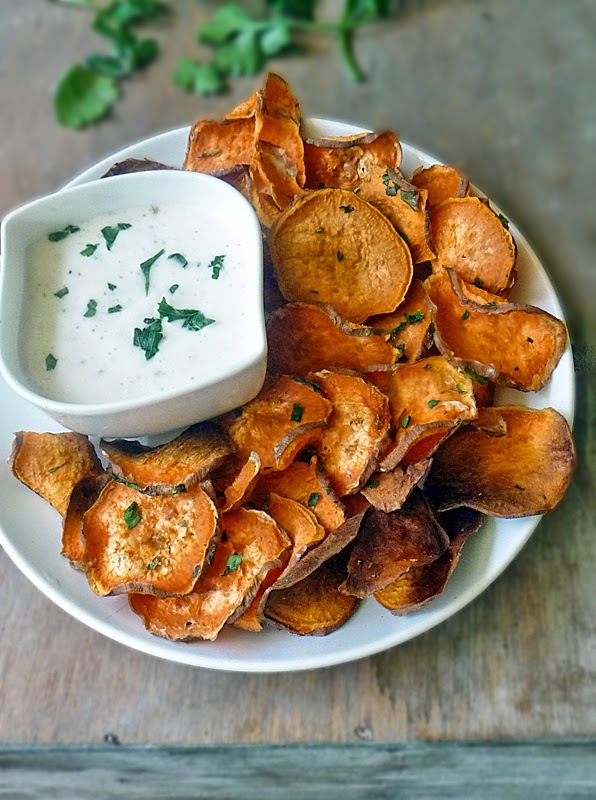 Sweet Potato Chips with Garlic Aioli Dipping Sauce makes a healthy and delicious appetizer, snack, or even a side dish. We LOVE sweet potatoes! Sweet potatoes are packed full of good-for-you stuff and they explode with sweet delicious flavor too! When I found this recipe on the Reynolds Kitchens's website I knew I had to try it! These chips are baked to keep them healthy. I left the skin on too, and the edges get nice and crispy while the middle just melts in your mouth with sweet and tasty orangey goodness! Aren't they pretty?! I LOVE the vibrant orange color of the sweet potato! 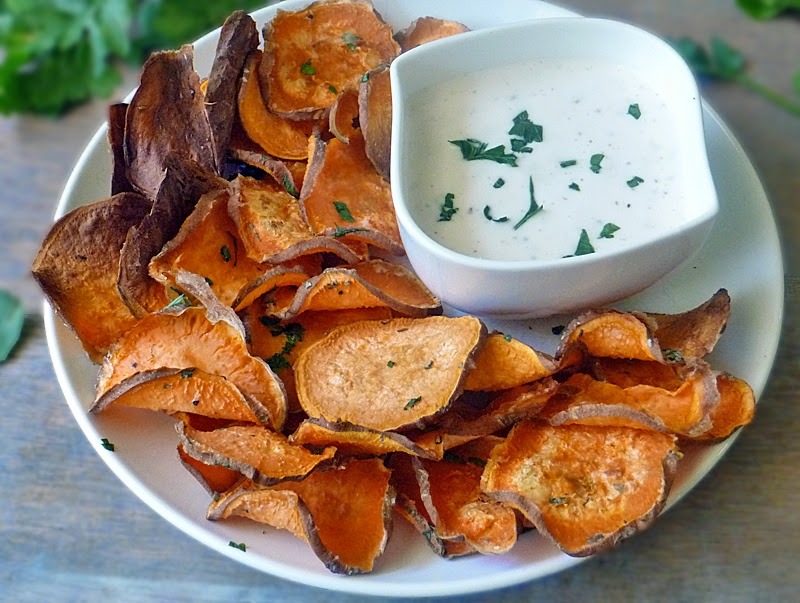 Dipping the sweet potato chips in the garlic aioli dipping sauce takes them over the top! OMG y'all - it is sooo good! The flavors work so well together it's hard to stop eating them! I only wish I had made more! Don't get me wrong, the chips are good on their own, but the sauce is so easy to make, there really isn't a reason NOT to make it! Who really wants to eat just a plain chip anyway? Part of the fun in eating chips is dipping them into a cool, creamy, tangy sauce! I did change up the recipe just a little bit because that is what I do. I love to find wonderful recipes and remake them to suit our taste. It is easy to put your own spin on recipes and enjoy tastier meals at home. Get cooking! Mix the egg white, 1 tablespoon freshly chopped cilantro, 2 teaspoons dried oregano, and 2 teaspoons kosher salt in a large bowl. Thinly slice the sweet potatoes using a food processor or mandolin and add the sliced potatoes to the egg white mixture. Toss to coat each potato slice evenly. 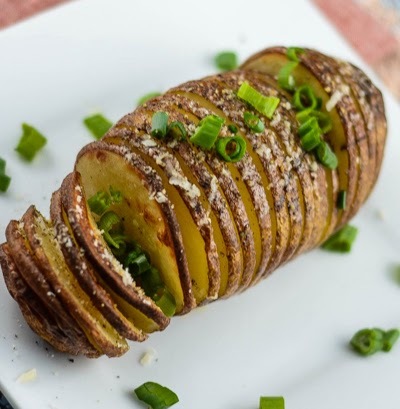 Place the potatoes onto the parchment lined baking sheets in a single layer. You want to make sure you leave space around each chip so you don't crowd them. Leaving space between the chips will help them to get a little more crispy. If you crowd them they will steam and be soggy. If you have a rack, you can put the chips directly on the rack and they will crisp up more for you. I like to put a foil lined baking sheet below the rack to catch any drips. Place the baking sheets in the preheated oven and bake for 15 minutes. Flip each chip over and bake 10-15 minutes more. Be sure to watch them so they don't burn. Turn off the oven and leave them in there for another 15 minutes. While the chips are baking make the dip by combining 1/2 cup mayonnaise, 1 tablespoon freshly chopped cilantro, 1 teaspoon freshly minced garlic, 1 teaspoon fresh lemon juice, 2 teaspoons apple cider vinegar, and salt to taste. Mix it well to combine and give it a taste. Adjust the flavors as needed. I love sweet potatoes. I have made sweet potato fries but not chips. What a great idea! And the garlic aioli sounds wonderful! Thanks for sharing. 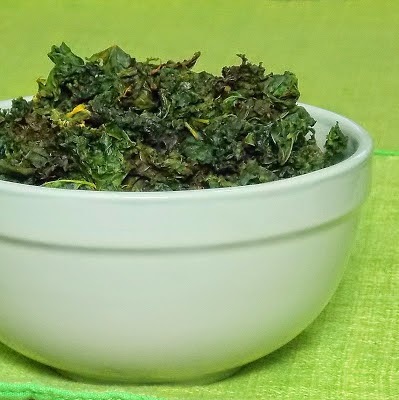 The Reynolds Kitchen web site has some great recipes. 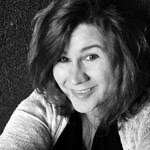 Thanks for stopping by, Michele. Definitely try the chips - they are sooo good! From your photos, I would have never guessed these were baked and not fried. I am dying just thinking about that dipping sauce! Mmmmm. I adore sweet potato chips! I think what I like best about yours is the garlic aioli! What a genius addition! Thanks, Kimberly! I have to admit I love the garlic aioli too. It really takes them over-the-top! Beth, you are so sweet! Thank you for making my day with your kind words!! Oh boy, I could eat that entire plate for dinner!!! And that aioli is perfect! Looks wondeerful Marion! Thanks, Tanya! I think I did eat that whole plate haha shhh don't tell anyone! I love these homemade chips! It is so nice to be able to control the flavors and know what you are putting in them! I absolutely agree Julia! It is the whole reason why I cook so much! I love to control the ingredients, and I end up getting so much more flavor too! Thanks for stopping by! What an awesome summer time treat! Pinned! What about using corn starch to make them crisp? Is that necessary? These chips look beautiful! 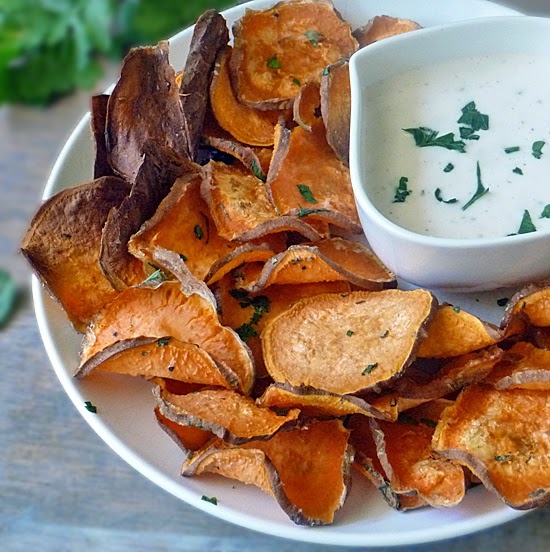 I would love to include your sweet potato chips and garlic aioli recipe in a sweet potato round up I'm doing for Parade Magazine this month. If you are ok with that, I would like to use one of your photos with a link back to your original post (http://ourlifetastesgood.blogspot.com/2014/06/sweet-potato-chips-with-garlic-aioli.html). Let me know your thoughts, thanks!! I am very allergic to eggs. What can I substitute the egg white with? Looks wonderful! I've been making these consistently since I discovered your recipe, I just thought I should let you know how much we LOVE THEM!! They are seriously the best :) Thanks! !